It’s fair to say that I’m a little bit of an Olympus PEN expert. I recently posted about my Olympus PEN E-PL1, which I bought way back in 2010 and fell in love with. Over time I formed a relationship with Olympus, and as such, have used many variants of the PEN range. After the E-PL1, also used an E-PM2 for a while before working with Olympus in 2012 on some tutorial videos for the E-PL5, filmed in Hamburg, Germany, and translated for multiple languages. In mid 2013, I started using the Olympus PEN E-P5, for both personal work, social media, and increasingly professional work. I also started experimenting with video more. 2013 was a busy year which also saw me work on a collaboration with artist SUZKO and Harrods on an creative project with the E-P5 and a custom painted camera and Vespa kit, which was sold in Harrods for £16000. 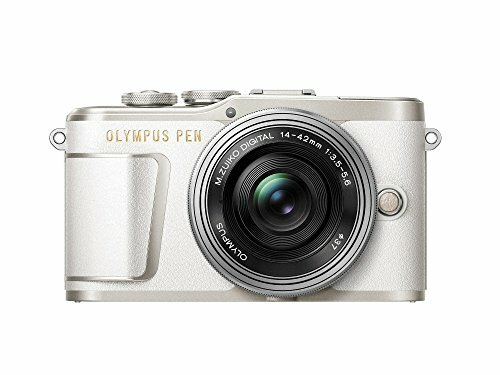 Olympus launched the E-PL7 in 2014 and with its built in WiFi, and colourway options, it became the go to camera for bloggers. The upshot of this is that I started working more and more with bloggers, both photographing them and doing workshops on how to get the best out of their Olympus PEN cameras and lenses. Two years later and the E-PL7 was superceeded by the E-PL8. This was mostly a refresh of the slightly dated looking E-PL7, with only a few minor feature upgrades, although it did come in a tan colour, which I loved. Before the launch, I shot several promotional images for the camera and the new range of fashion accessories to go alongside it. The launch itself took place at Nikki Beach resort in Greece with around 100 bloggers from all over Europe. It was an epic trip, although I think I averaged a little over an hours sleep per night, which pretty much broke me! The 8 continued where the 7 left off, being one of the favourite choices for bloggers of all genres. My personal camera of choice is the Olympus PEN-F, and I use it for almost everything. I do use an Olympus OM-D E-M1 Mark II for studio work, and sometimes the my E-PL8 if I just want to carry something small. So I think it’s fair to say I’m familiar with the Olympus PEN range of cameras, and there’s now a new kid on the block! The Olympus PEN E-PL9 was launched last week, and I’ve had loads of people wanting to know my opinion on it, so who am I to disappoint? Aesthetically, there’s a clear evolution through the various iterations of the E-PL cameras. I do feel that the E-PL9 has taken the best design aspects of both the 7 and 8 to make what amounts to a very attractive camera. If you’ve had one of the previous models, this camera will feel very familiar when you use it, but there are some notable upgrades. First up is that it now shoots 4K video. I don’t have a 4K tv or monitor, so I have no idea how this actually displays, but I know it’s becoming an increasingly important feature to a lot of people. One of the big improvements for me is the processor and image stabilisation from the more expensive Olympus OM-D E-M5 Mark II. This means that images are better quality, but it also has improvements to the 3 axis image stabilisation that was on previous model. This means you get sharper stills at slower shutter speeds, or much smoother motion if you’re hand holding for video. For the more creative people out there, Olympus have added a new feature to the mode dial where they have collated things like multiple exposure, panorama, and live composite settings all into a single place instead of them being buried in menus. A surprise feature addition for me isn’t actually new to the E-PL range of PEN cameras. They’ve added a pop up flash! This is something that was on the E-PL1 and E-PL2, but was subsequently dropped from the E-PL3 onwards (there was never an E-PL4, and the E-PL6 was pretty much ignored as it launched in the UK at the same time as the much better E-PL7). I’m hoping to do some blog posts and workshops on using flash, so with the E-PL9 having one built in, that makes things far more easily accessible. In terms of image quality, most people won’t see too much of a difference compared to the 7 or 8 in the vast majority of situations, especially if you’re only posting to Instagram. I do feel that the E-PL8 is noticeably faster when using the menus or changing settings etc though. I love the colour tones I get using the camera, and even using jpegs I like the results. I still prefer to shoot raw, but it always takes time before Adobe release updates for new cameras. There’s a couple of new art filters for if those are your thing (I prefer to edit after). The Bleach Bypass one in particular is weirdly similar to how I edit for Instagram haha. In summary, the E-PL9 is an awesome camera and a decent upgrade on previous models. It’s hard tell you whether you definitely need to buy it or not, because that’s down to your personal situation. I always recommend investing in lenses first anyway. 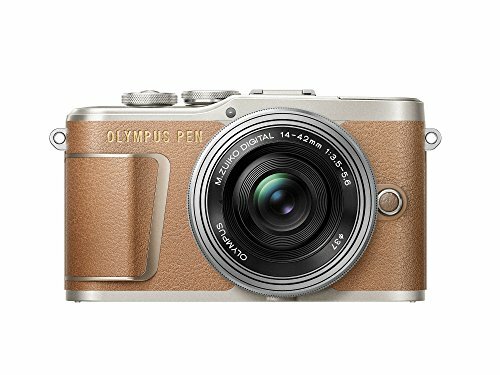 If you are looking to upgrade or replace your older Olympus PEN, the E-PL9 won’t disappoint! Here’s a little extra of me talking to Camera Jabber about the new Olympus PEN E-PL9 at a press launch. 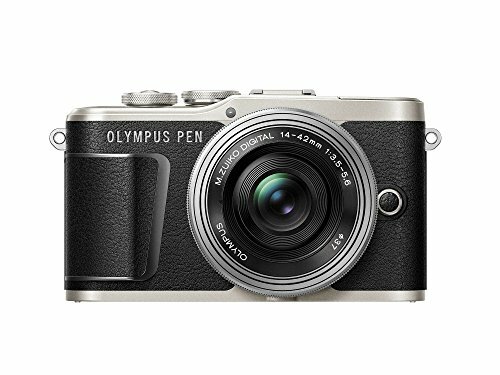 Do you currently use an Olympus PEN? What are some of the things you love or hate about it? Is there a feature you wish it had? Which is your favourite colour? Leave a comment below!